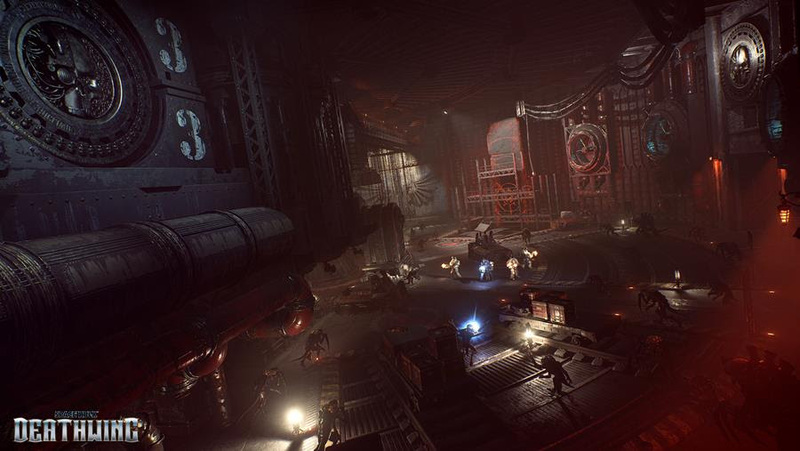 Bask in the glory of Space Hulk – Deathwing’s environments now, because when you play it you’re going to be under siege. 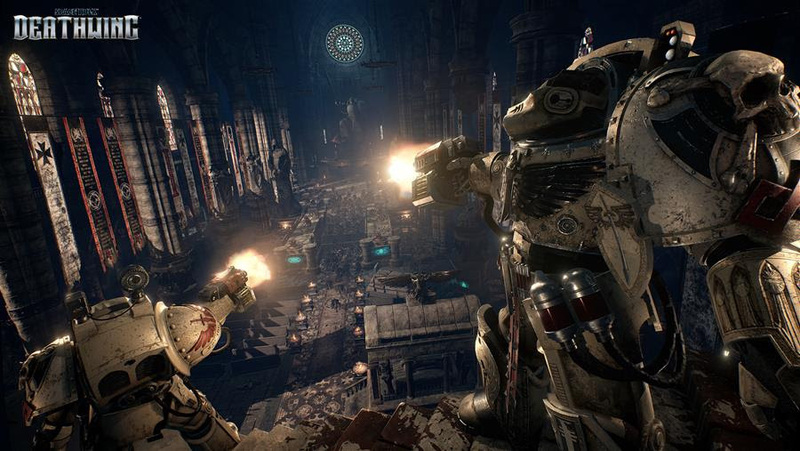 One of the most promising games coming along for the fan-favorite Warhammer 40k IP Space Hulk, Deathwing from Streum On Studio is looking mighty pretty in these new screenshots. There aren’t many, but what is being shown off is nice indeed. 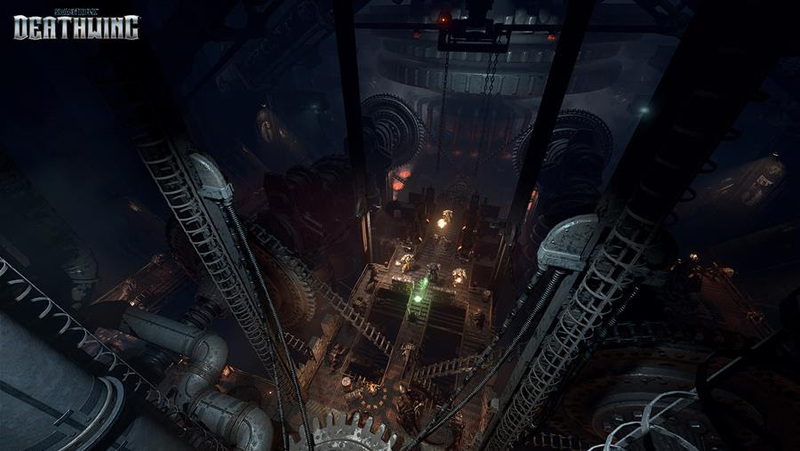 The game seems like it takes place on a few different hulks (massive derelict spacecraft that have almost taken on a life of their own) like a Black Templar battle barge and a a vessel formerly controlled by the vaunted Adeptus Mechanicus. In a little bit of a twist, you’ll not just be playing as a Terminator squad of Space Marines, but as a Librarian in charge of a troop of Terminators. As you might imagine, you can play solo (as the Librarian) or in a team where your buddies can take up the heavy bolters of those accompanying marines. In terms of what you’ll be battling against as you make your way through these wrecks though, you probably know ’em all too well. You’ll have to splatter Genestealers galore using a selection of Warhammer 40k weaponry like bolters, assault cannons, lightning claws, and the thunder hammer. 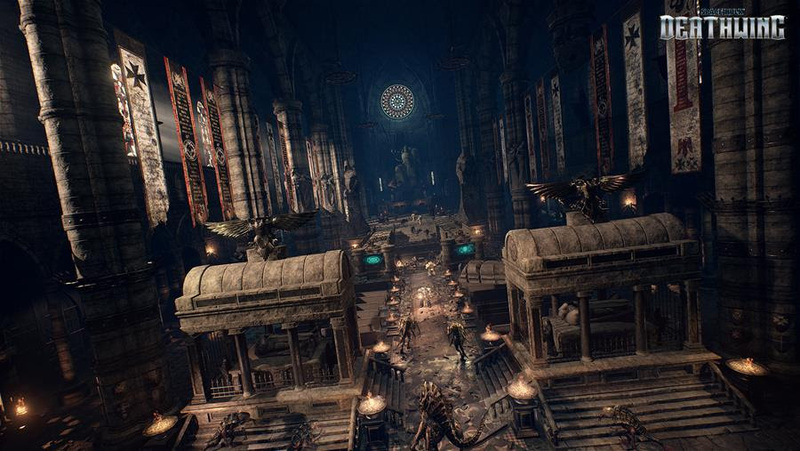 There’s no date as of yet on just when you can expect to plunge into these dark and dank halls, but you can expect Space Hulk – Deathwing some time this Spring for the PC.